Bee Pollen – One of the oldest health foods used by man, it is mixed with food or drinks, or as a pill supplement today. Dandelion – Used in both foods and internal and external medicinal remedies. Geranium – Scented geranium used inteas for various conditions. 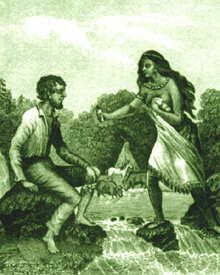 Yellow Root – Though toxic in large doses, Native Americans made a tea of it to treat several medical problems. 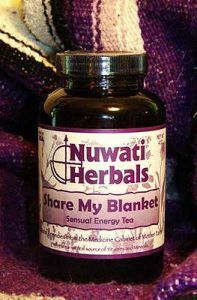 Blackberry – Root is used in teas, and leaves are used as a gargle. Pennyroyal – Long used to treat medical problems and to eradicate pests. Pennyroyal should not be used in any way by pregnant women. 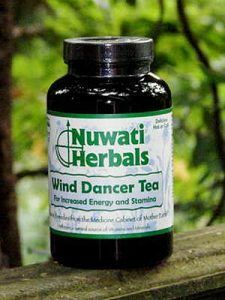 Over ingestion of this herb has caused death. 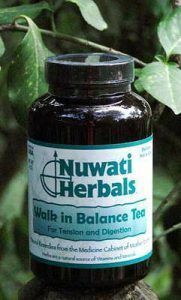 Nuwati Herbals Walk In Balance Tea – Calms Nerves and upset stomach. Available at Legends General Store. Rhodiola – Best known in improving physical and mental performance. Lavender – Dating back to Roman times, Lavender has been used in teas, balms, food, and medicinal remedies.